In terms of specs, the Apple-1 was incredibly primitive. It came with an 8-bit MOS 6502 microprocessor running at 1 MHz. Wozniak started working on the Apple-1 as a hobby, with no goal beyond showing it off to the people at the local Homebrew Computer Club, which he attended. 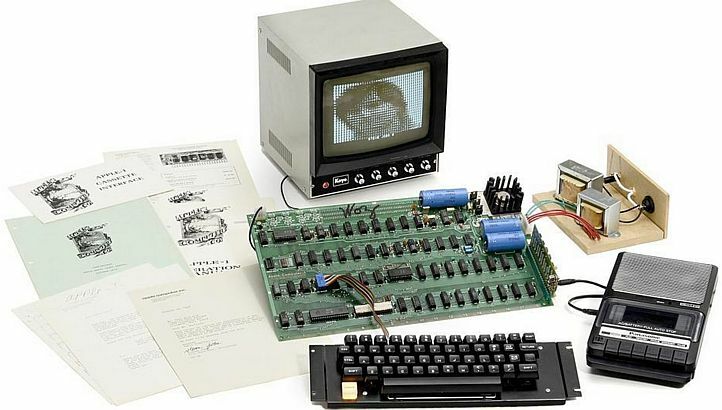 “I did this computer … to show the people at Homebrew that it was possible to build a very affordable computer — a real computer you could program for the price of the Altair — with just a few chips,” Wozniak recalled in his autobiography, iWoz. Jobs convinced Woz they would do better building and selling the Apple-1 rather than giving away the designs. Jobs approached Paul Terrell, who owned the nearby Byte Shop, one of the first personal computer stores. Terrell rejected Jobs’ first suggestion that the Apple-1 should come in kit form. He told Jobs that, with computers becoming more mainstream, people wanted to buy fully assembled machines. Jobs listened and agreed. So, Terrell said he would buy 50 Apple-1 computers for $500 each, although cash would only be paid upon delivery. Terrell then marked up the computers to $666.66, or the equivalent of $2,800 today. Ultimately, the Apple-1 didn’t hang around too long. Apple only built 200 or so. The number of surviving units is significantly smaller today, due to both the computers’ age and the fact that Apple offered a trade-in deal when it launched the significantly upgraded Apple II the following year.